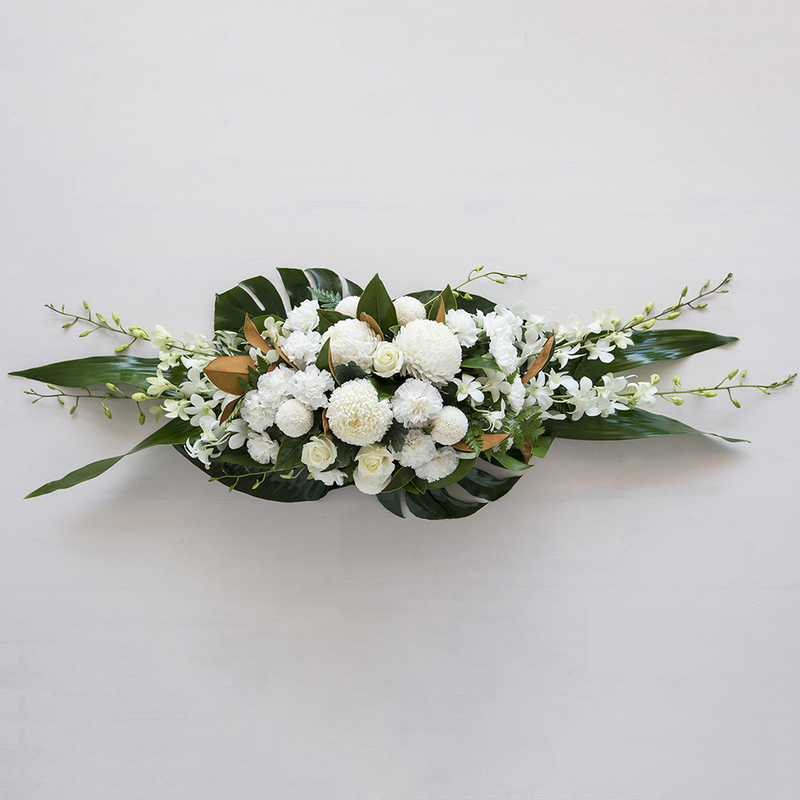 Classic casket spray made of a mix of seasonal white flowers available at the time. Designed by our florists using the best blooms in season this is a skilfully put together casket spray to be a loving tribute. We are more than happy to make a custom casket spray especially to suit your requirements, just give us a call with the details.